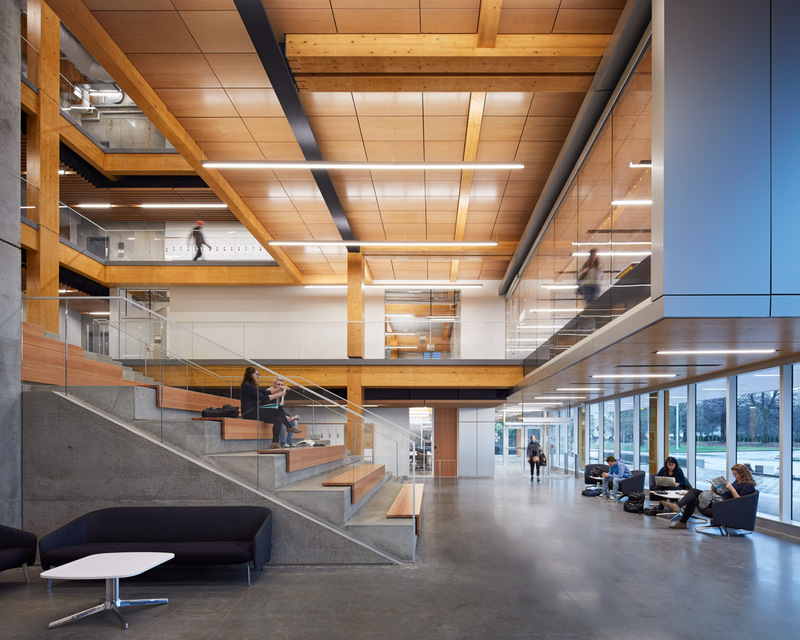 The Wilson School of Design at Kwantlen Polytechnic University exemplifies purposeful design meant to inspire the development of creative professionals in the fields of graphic design, interior design, fashion marketing, and fashion technology. The design of the new school fosters interdisciplinary collaboration by positioning flexible design studios, labs, open offices and shared spaces across all five floors. The lighting is designed to truly integrate into the architecture providing comfortable lighting for the spaces and varying tasks through out the building. The facility also represents the future urban landscape providing a new gateway to Richmond’s Lansdowne Mall transformation. Adjacent to the Lansdowne SkyTrain transit station, the building’s highly visible entry, framed by a covered porch, draws students and visitors into the campus and creates a new front door for KPU on Kwantlen Street.